When Elena Bossi and I met in Iowa 2007, our common languages were mime and laughter. My Spanish was paltry; Elena’s English was picturesque. Nevertheless, on parting, to sustain our friendship, we agreed to write a novel together in alternate chapters (and letters), each in our own country and language. In 2009, we met in Argentina to polish the translations of our story. Amigas presents both English and Spanish versions in one digital edition. 2009: in Argentina, a woman prepares to travel to Italy for a funeral. In New Zealand, two friends discuss art, loss, and how to accept life as it plays out. 1969: a girl from New Zealand and another from Argentina are stranded in the airport in Rome. A friendship is forged and they exchange letters for a decade, until events take a sinister turn during Argentina’s ‘dirty war’. 2009: again in the airport in Rome, cancelled flights throw together two women whose lives have intersected in unexpected ways. The hidden threads of these friendships are drawn deftly together. 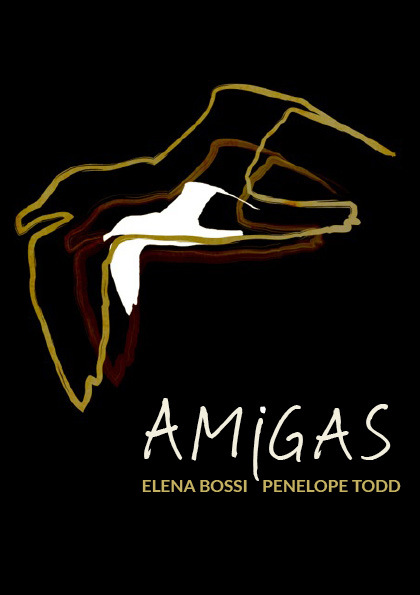 Amigas is a story of female friendships, how they are forged, how they endure across time and geography, how they stimulate and sustain. 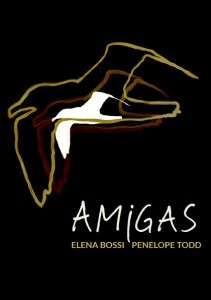 Amigas, the ebook, is available at Rosa Mira Books.